BARCLAYCARD PRESENTS BRITISH SUMMER TIME, HYDE PARK. For a 3rd consecutive year, HEART produced Barclaycard’s customer activations and VIP hospitality experience as headline sponsor of concert series, Barclaycard presents British Summer Time, Hyde Park. Supporting Barclaycard’s objective to help customers get more out of today, HEART produced a unique viewing experience, giving Barclaycard customers an exclusive chance to see the event from a platform 100ft above the ground. During the 20 minute experience, customers had a “#BetterView” of the event, while professional photos were captured via individual QR codes for easy sharing on social media channels. HEART also ran sell out champagne tasting experiences, which were hosted on the platform in partnership with Heidsieck Monopole. ‘Better View Cam’ captured customers on the platform and relayed this live to a TV screen on the ground. This content fed to the main stage at the event, giving Barclaycard customers a unique opportunity to appear onscreen in front of 60,000 people. 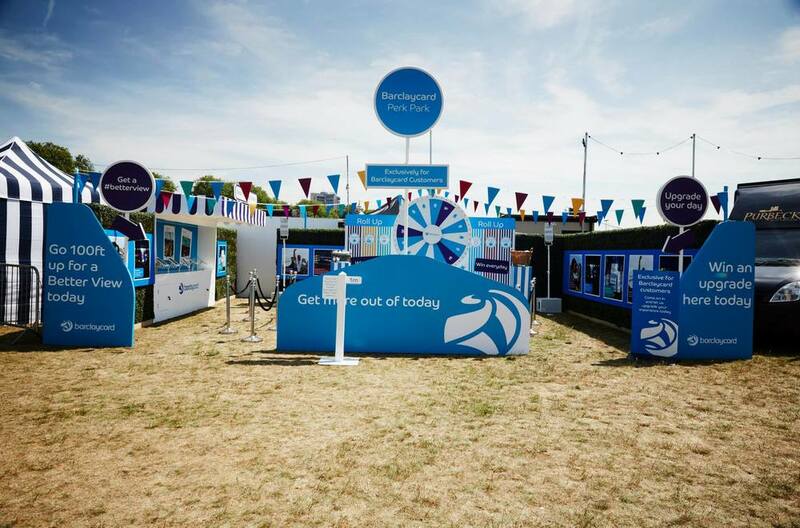 HEART created the Barclaycard Perk Park to communicate the many benefits of being a Barclaycard customer. This magical fairground experience featured circus ringmasters and a giant wheel, which customers spun for the chance to win VIP upgrades, concert tickets and tasty prizes. To entertain over 1,500 VIP and celebrity guests, HEART conceived a premium hospitality experience themed as a living garden, complete with water features, floral installations and foliage throughout. Guests could escape the crowds in the secret garden, capture the moment in the photobooth or enjoy a lobster burger from the Terrace Bar and Grill along with the best view in the house, from a grandstand right in front of the main stage.